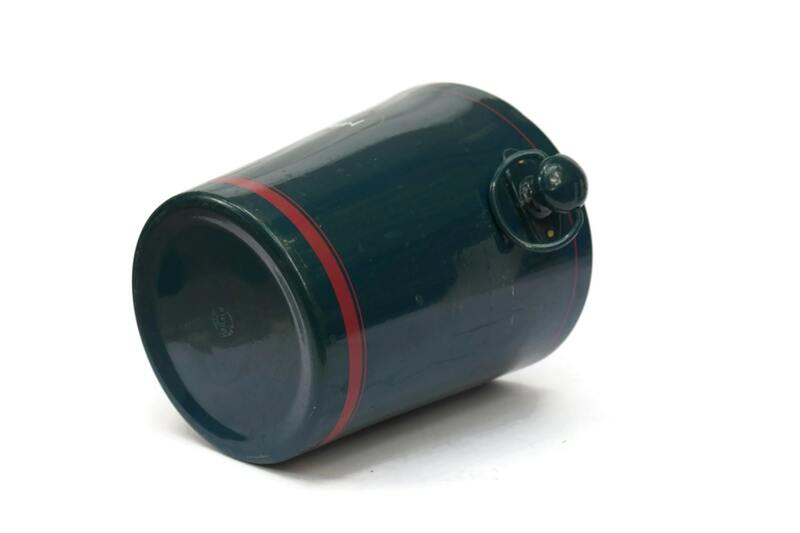 Vintage French Teal Champagne Bucket. 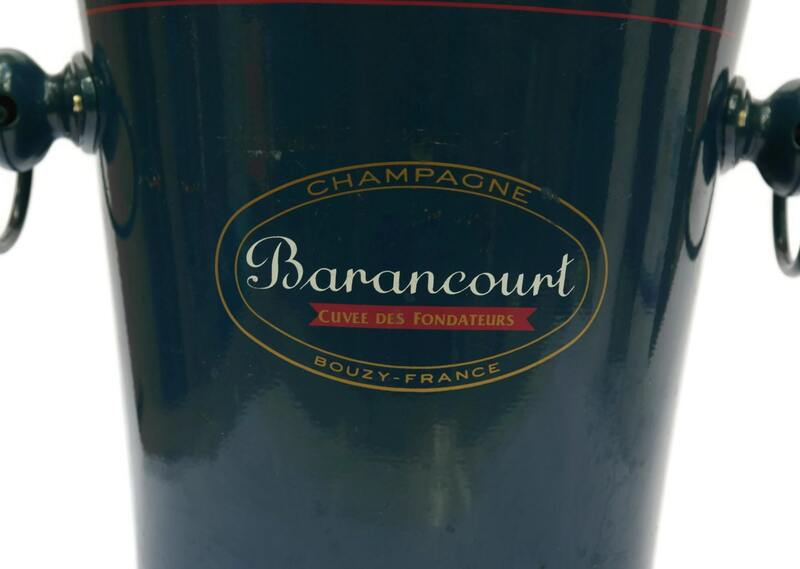 Vintage French Barancourt Champagne Cooler. French Vintage Advertising. 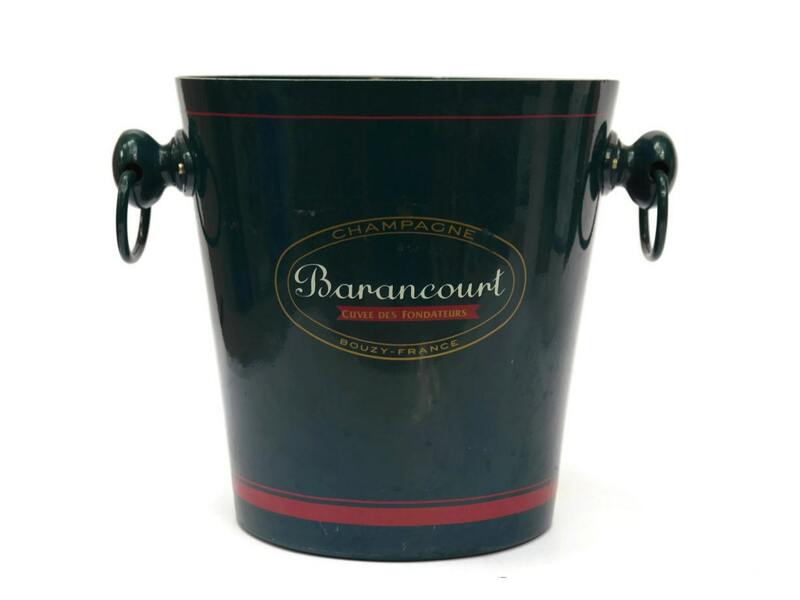 A stylish vintage French champagne bucket for Barancourt champagne. 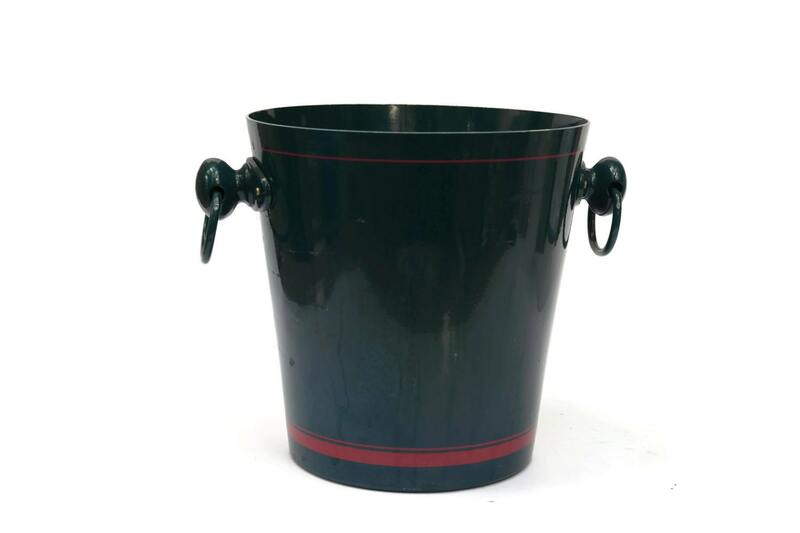 The aluminum ice bucket has been decorated in teal enamel and features contrasting red red highlights. The brand's logo decorates the front of the champagne cooler. 8" high x 8" in diameter. (20cm x 20cm). Good used condition with light wear and surface marks and scratches. 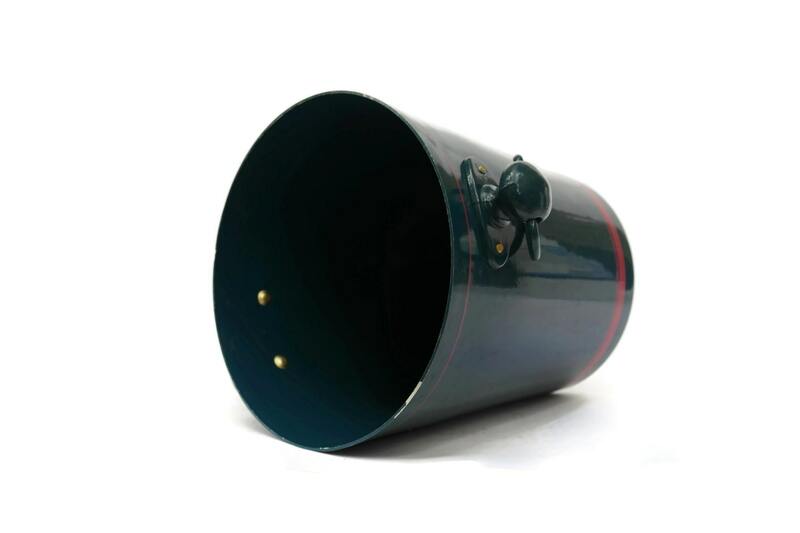 Item ref: Vintage French Teal Champagne Bucket. Vintage French Barancourt Champagne Cooler. French Vintage Advertising.